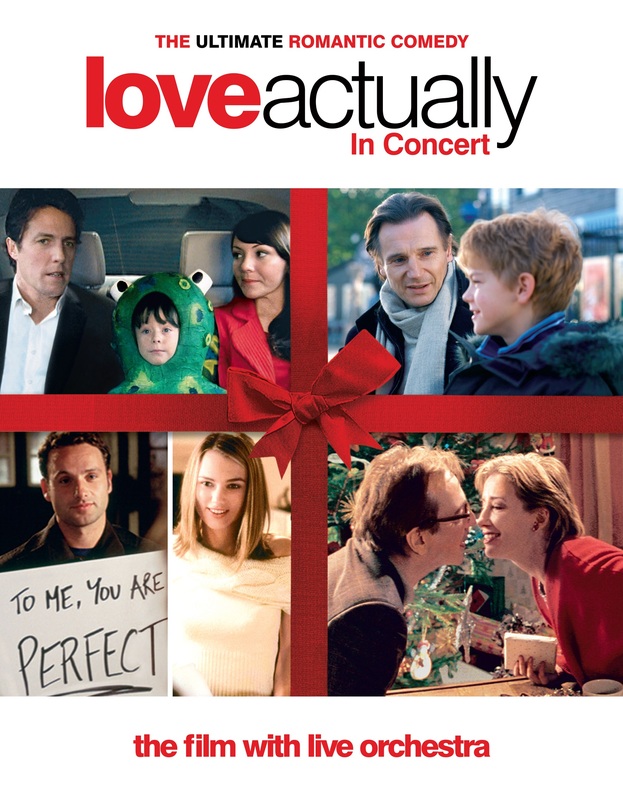 As Love Actually is one of the most popular feel good Christmas films of all time, I was so excited when I was offered a chance to review the Love Actually: Film with Live Orchestra at St David’s Hall. Christmas spirit was well and truly in the air: mulled wine was on offer at the bar, dazzling Christmas lights were displayed all outside the street of the venue and the musicians even donned Santa hats as they enthusiastically delivered All I want for Christmas is You from a scene in the film. The tour only premiered last Christmas and it was a huge hit, selling out in every venue and it wasn’t hard to see why. The venue was packed and there was a great buzz inside the venue as people eagerly waited for the film to start. Whilst the audience were in complete darkness to draw attention to the film played on the huge screen, the Senbla concert orchestra were dazzling underneath in the spotlight and were an amazing looking spectacle. Directed by Richard Curtis, Love Actually tells 10 separate yet interweaving stories of love around Christmas time. Now a full, live orchestra brings Craig Armstrong’s enchanting score to life whilst the movie – starring Hugh Grant, Martine McCutcheon and Liam Neeson – plays on a huge screen behind them. Armstrong is one of the UK’s most recognised film composers with his work being awarded a BAFTA for his Achievement in Film Music. The orchestra was made up of a mixture of talented cellists, violinists, pianists, and drummers, with a few people on clarinets, trumpets and flutes as well. Conducted by George Jackson, the attention to detail was flawless. Every song was delivered with precision, even down to the Universal Studio theme tune at the beginning of the film and their accompaniment enhanced the love stories within the film perfectly. The sound of the instruments combined together gave me goosebumps and they were met by a standing ovation at the end by almost every member of the audience. It was so heart warming to see family members in the audience madly waving at a member of the orchestra and was a reminder that in keeping with the message of the film, that love actually, is all around. Founded by Ollie Rosenblatt, Senbla is a national based concert promoting and production company, promoting shows and national tours throughout various venues in the UK. Accompanying films such as Harry Potter and Star Wars, they have been involved in numerous tours around the UK and have always got a glowing reception. Conductor George Jackson has also claimed international attention by winning the 2015 Aspen conducting prize and has had many successful debuts since.